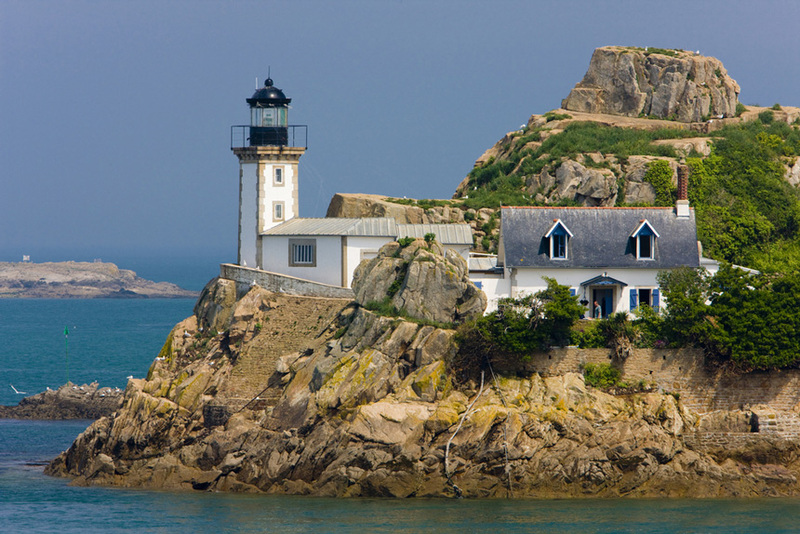 Brittany or Bretagne offers a beautiful and varied environment. The region is surrounded on three sides by long and varied coastlines of over 1110 km. Its rugged cliffs are scattered with islands, islets, light houses and wide estuaries. Occupying the rugged western tip of France, Brittany has many white sand beaches providing great bathing experiences, apart from sailing, wind surfing and scuba diving. The region has a mild climate due to the Gulf Stream, however, the winters are wet and very cold due to its Atlantic exposure. The region is generally described as two lands – Armor and Argoat meaning ‘land of sea’ and ‘land of woods’. The best way of exploring Brittany is through its waterways. While there are too many visitors to the coastlines, its islands are mostly unexplored with some areas even being too remote and depopulated. The region’s landscape is mainly reflected in its stones, with stone circles and unexplained megaliths being in plenty. Brittany houses are uniquely built with pink, gray and black stones. Brittany people who speak the Breton language have for long considered themselves as separate from France. Breton customs and traditions are very prominent today in the western part of the peninsular region. The region is also very popular with holiday makers from the UK as you have ferry links from Rascoff, St. Malo and ports in Normandy. The French holiday makers too find the region attractive, rushing there in summer to its attractive beaches and seaside towns of Dinard, Vannes an Dinan. Quimper, known as ‘Ville d’Art et d’Histoire is a town with a rich patrimony and has several 17th century buildings, museums, ramparts and the famous Saint Corentin cathedral. The small town of Roscoff is also a seaside resort, prominent for lassotherapy and oceanography research. The third fishing port of France Concarneau has several ramparts surrounding the village of Granit. Brittany has several flowery towns and villages. St. Malo is a major tourist attraction given its harbor and ferry services with England. The fishing port of Cancale is well known for its oysters and oyster beds. The art town of Vannes reflects typical Breton architecture while the town of Lorient is popular for its Celtic music festival and scuba diving. 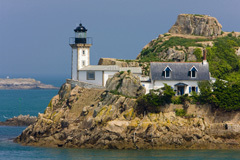 The zoos and aquariums of Brittany have huge patronage. The Oceanopolis in Brent receives around 500,000 visitors while the ‘Aquarium of St. Malo’ sees about 430,000 visitors. You can see all insects in the insect museum, ‘Insectoruim de Lizo’. Brittany has a long and rich history. Julius Caesar invaded it in 56 B.C., when it was part of Armonica. When the Romans withdrew, many Brittons escaped the Teutonic invaders by moving to the north western part of Armonica. That is how the region got its name. The Brittons who were gradually named Bretons, converted the Armonican Celts to Christians. In 922, the Count of Rennes, Geoffrey was proclaimed the Duke of Brittany. During the 13th century Brittany came back under the French dukes and joined France through a permanent treaty in 1532. In 1789, the National Constituent Assembly of Paris abolished feudal privileges and Brittany lost its juridical and administrative autonomy. Brittany in the nineteenth century became famous for its tradition, religious festivals and its wild landscapes. When France was divided by the Vichy government into administrative regions, the Brittany region included only four of the five departments that it traditionally had. The department of Loire-Atlantique was removed, which raised much controversy. Brittany is considered the first agricultural region of France with agriculture and fishing accounting for 19% of the country’s national production. Its industry includes food processing, car manufacturing and ship building. The major cities of Brittany include Rennes, its capital, with neoclassical layout and grandeur buildings. It is believed that a drunken carpenter practically burnt the entire city in 1720, with only the area of Les Lices located between the Ile canal and River Vilaine remaining undamaged. The Palais de Parlement escaped the fire but ironically burnt in a major fire in 1994. The entire structure was then rebuilt and topped with impressive gilded statues. Fougeres town is known to have been frequented by Chateaubriand and Balzac, and is an important center for shoe manufacturing. It is the site of an interesting shoe museum, Musee de la Chaussure and, as an agricultural center, it also has the largest cattle market in Europe. The St- Sulpice church with its extraordinary interiors from the 15th – 18th century is in the Southern part of the town. Saint Brieuc with its vast sandy beaches, is hardly 2 miles from Saint Brieuc Bay on the English Channel. Named after a 5th century monk, the town grew around the monastery he developed. The Cathédral de Saint-Étienne was built from the 13th to the 15th century to also serve as a church fortress. The South side wooden altar was carved in 1745, and the cathedral is lighted with beautiful stained glass windows of the 15th century. Brest, with its rugged shoreline, is a seaport and a protected harbor. With a rich maritime history and as an important French naval facility, the city has a naval museum established in a 12th to 17th century Chateau. The River Penfeld divides the city, which can be crossed at the Pont de Recouvrance, served by the largest lifting bridge in Europe. Quimper is popular for its faience pottery. Pottery has been here since 1690 when it used the bold designs of Jean –Baptiste. It owes its name to the term ‘Kemper’ which in Breton meant intersection of rivers. Located at the confluence of Odet and Steir rivers, the town has a rustic feel with beautiful footbridges encompassing the rivers flowing under it.